Research conducted at Queen Mary, University of London, has found that the number of Down’s Syndrome pregnancies rose as women are deciding to have children later in life. The same study also revealed that despite the increased diagnoses, the number of babies born with the chromosomal disorder has remained almost unchanged because of improved screening and subsequent abortions. Delaying motherhood is the reason for a 71% increase in the number of babies diagnosed with Down’s syndrome in the last two decades. 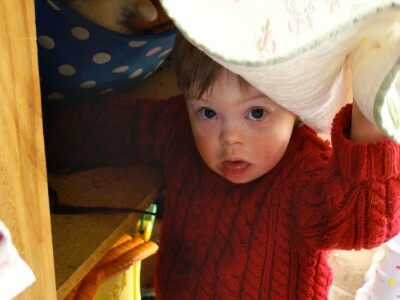 Stats show that in 1989/90 there were 1,075 with down syndrome and now for 2007/08 that went up to 1,843. A woman in her 30s has a 1 in 940 chance of having a baby that is diagnosed with down syndrome. At the age of 40 this rises to 1 in 85. Live births of Down’s babies fell from 752 to 743 –or 1.10 to 1.08 per 1,000 births – over the period of time covered by the research. If screening had not happened, the number of babies born with Down’s would have risen by 48%. Around 92% of women who were screened and got a Down’s syndrome diagnosis decided to terminate their pregnancy. This is a HUGE number. While I have no idea about the challenges that go hand in hand with raising a child with Down Syndrome, I too agree that they have just as much of a right to be born. Everyone should read Martha Beck’s book Expecting Adam, in light of this fragile topic. It is a brilliant read about one mother’s decision to give birth to her child with Down Syndrome and how he has miraculously changed her life for the better. I think children with DS are some of the HAPPIEST children I’ve ever seen. What can be better than seeing these children smile away?